This is the final post about the wonderful, unique trip we took to Mexico last year for my son's graduation gift. If you missed the first two parts, you can read them here and here. Even though we were having so much fun exploring our resort, we did eventually decide to venture out. 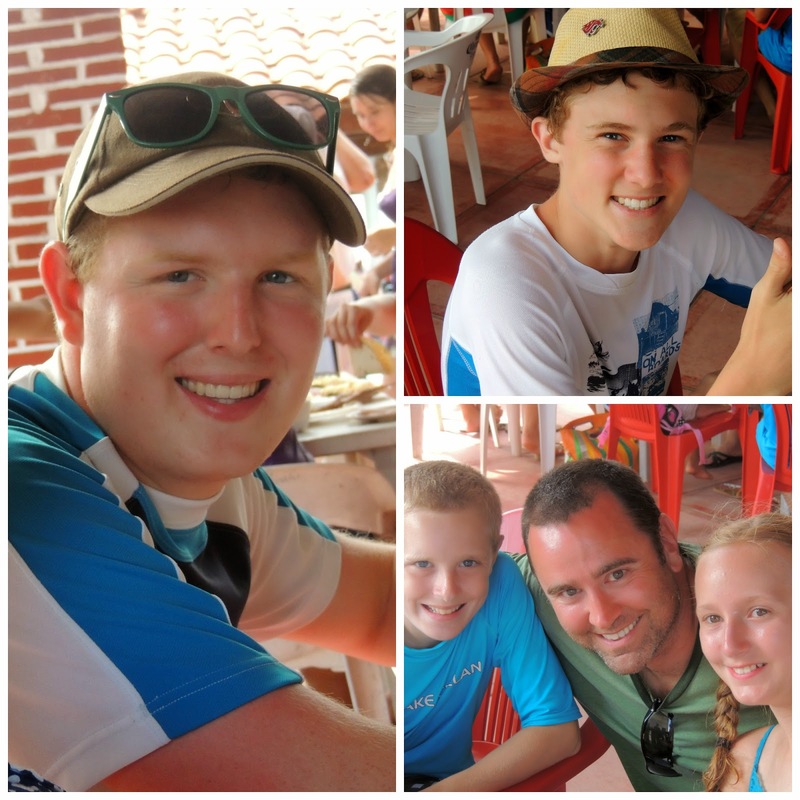 We were encouraged by Pasqual to visit the neighboring village of Platinitos on Sunday, as that was the day the locals came to town to visit, eat and play in the ocean. The guys decided to get there on foot. This meant traversing the shallow inlet to the estuary, climbing the hill on the other side, and hiking down into the town. My mom and I chose to drive instead, but the dirt road leading to the main highway was so slow and bumpy, the boys actually beat us there. The town of Platinitos was buzzing! It seemed that every local family had come to socialize. We walked around for a bit, and then chose a restaurant overlooking the ocean for some lunch. It soon became apparent that our server had no idea how to communicate with us, and vice versa. Luckily, the owner spoke english and helped translate. We learned that local fish grilled on the barbecue was the house specialty, and we were to order by the pound. Three pounds of fish and a few cerveza's later, and everyone was enjoying their lunch. It was fun to watch the local children playing in the ocean. Pasqual told us that even though they live close by, the families only get to visit the beach on special days. 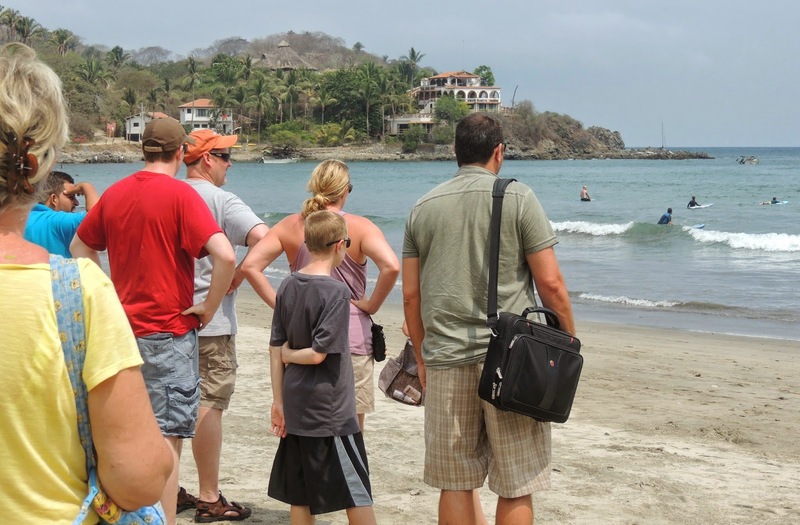 Later in the week we ventured to the nearby town of Sayulita. This was a more traditional tourist area, with a beautiful beach and lots of surfers. Everytime we turned around, we had to rescue my mother from a beach vendor, anxious to sell her his wares. My mother is not good at saying no, and my husband had to step in on more than one occasion to keep her from buying everything they offered. We had a great day in Sayulita. Can you tell it was HOT? 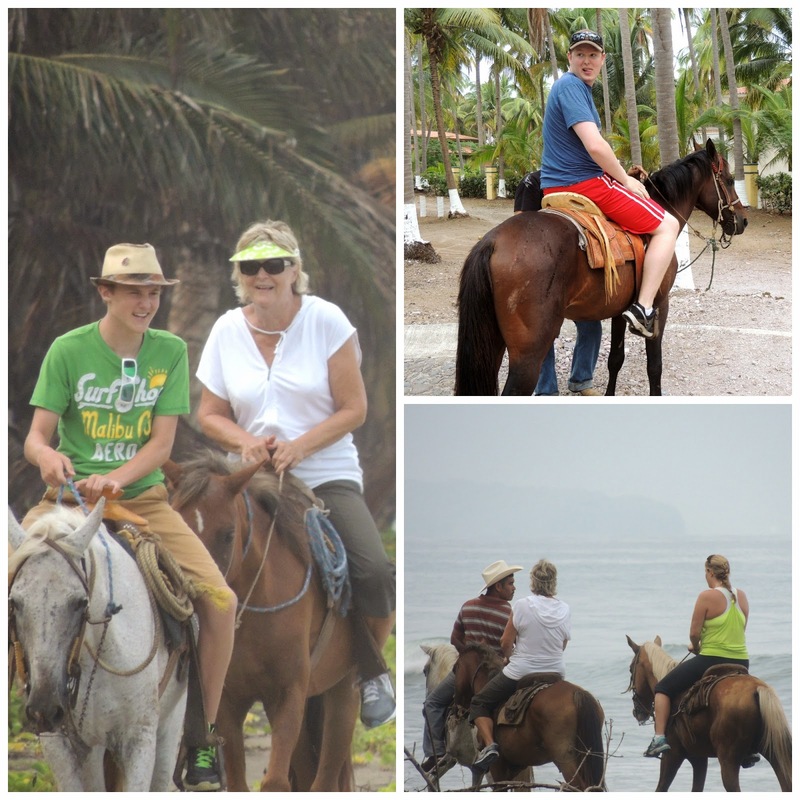 For our final adventure, we decided to go horseback riding on the beach. Let's just say these weren't your usual, tame horses from the United States. These were working ranch horses that got recruited some days to give tourists a ride. I wasn't sure we were going to make it back alive! Don't let the smile fool you - my mom was holding on for dear life! 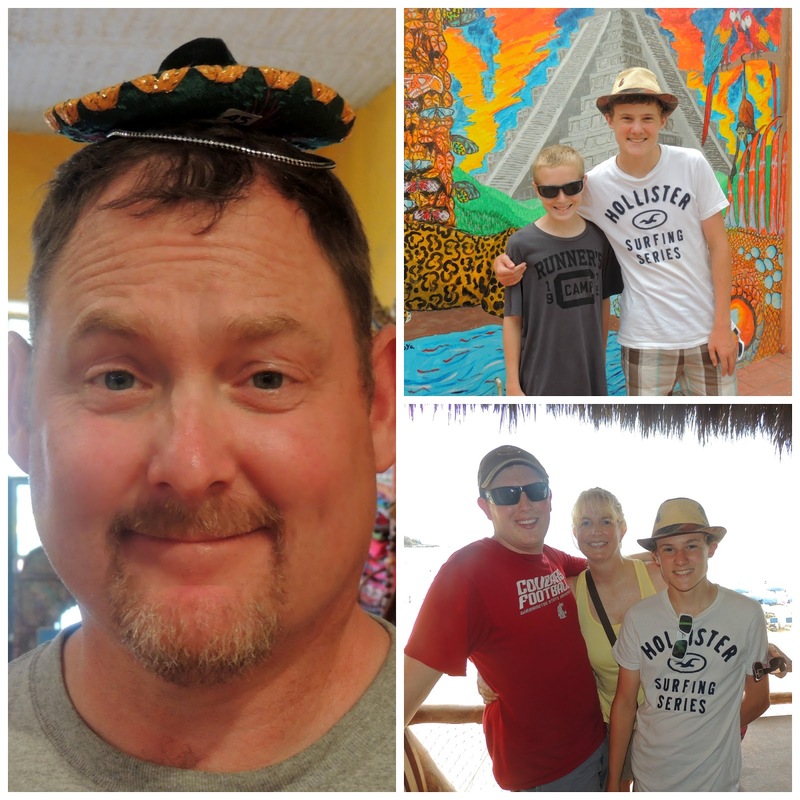 We had an amazing ten days in Mexico, and I would love to return some day. It was fun to expose the kids to a more "traditional" Mexico, and I highly recommend Playa Las Tortugas if you're looking for an affordable family getaway. Adios!! Thanks Carol. We had a blast! It was a really good time! Thanks Holli. We didn't tell my son that grandma & grandpa, and my sister and her family were coming. He didn't find out until we got to the airport in Puerto Vallarta. It was a great surprise! Great pics and sounds like it was such a great trip! I have fond memories of visiting Mexico with my family when I was a teenager -- what an awesome graduation gift for your son! Thanks, it was so fun. 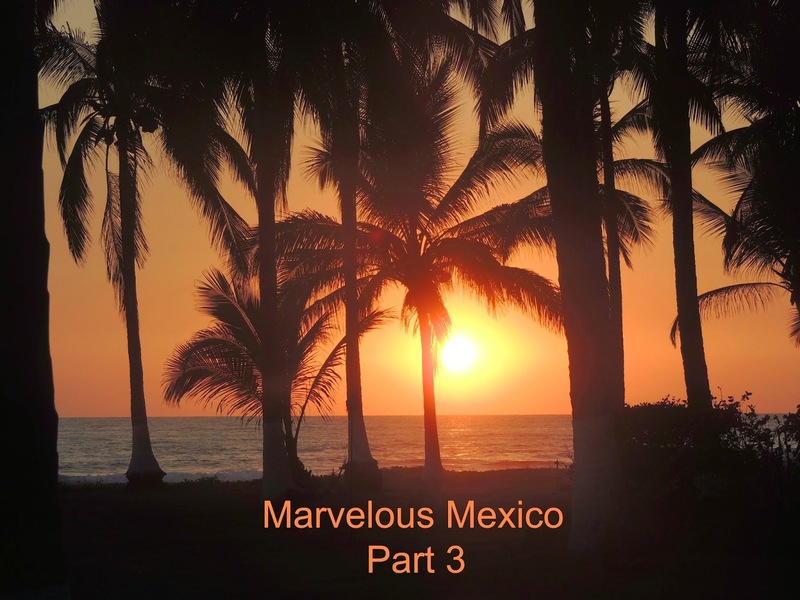 This was my first time to Mexico, and we really enjoyed it. Sounds like you had a great adventure in Mexico! 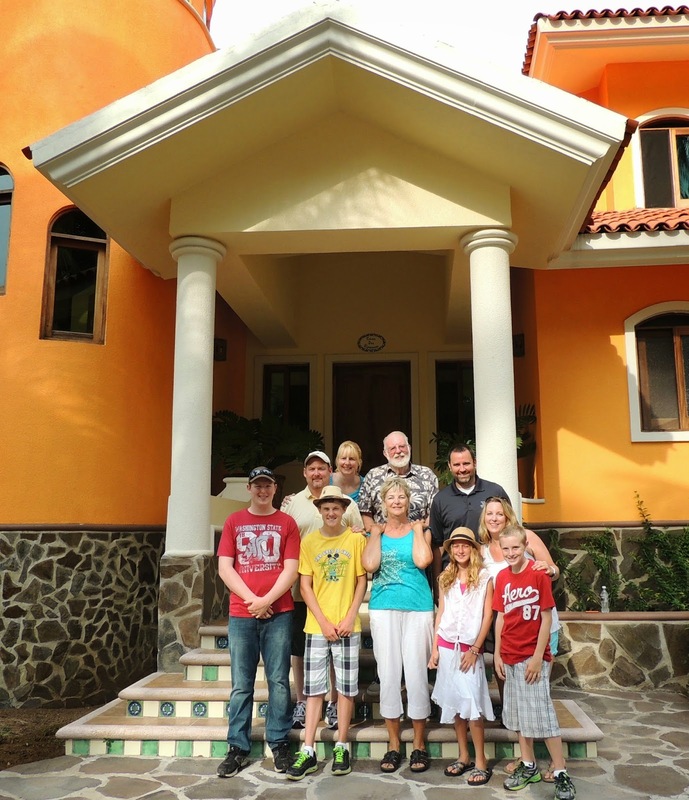 We loved Mexico too, and I hope to go back someday! So. Much. Fun! I'm going to the site now . . . Thank you for sharing your wonderful holiday! Thanks Diane. Ooh, if you go, I want to hear all about it! Thanks Ada. I kind of wish I was there right now!